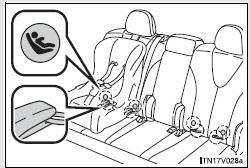 Follow the child restraint system manufacturer’s instructions. 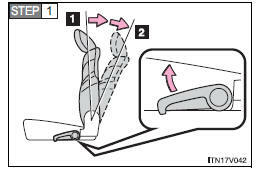 Firmly secure child restraints to the rear seats using the LATCH anchors or a seat belt. Attach the top tether strap when installing a child restraint. LATCH anchors are provided for the outboard rear seats. Anchor brackets are provided for all rear seats. 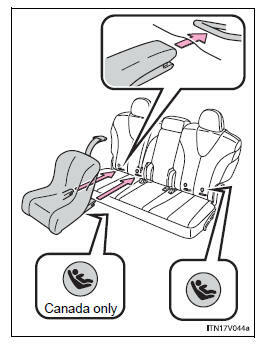 Fold the seatback while pulling the lever. 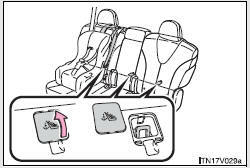 Return the seatback and secure it as upright as possible (1st lock position). 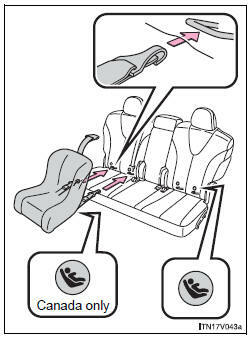 Adjust the seatback to the 3rd lock position. The bars are installed in the clearance between the seat cushion and seatback. tether strap, the top tether strap should be latched onto the top tether strap anchor. The symbol on a child restraint system indicates the presence of a lower anchorage system.